As construction is in full swing at 196 Freeman Street, a rendering of the building to come has been released. The design by architect of record Julien Flander is of a simple, four-story building with tall, narrow windows and private balconies for select units. It rises on the former site of a three-story building, which owner Yidel Hirsch had demolished. 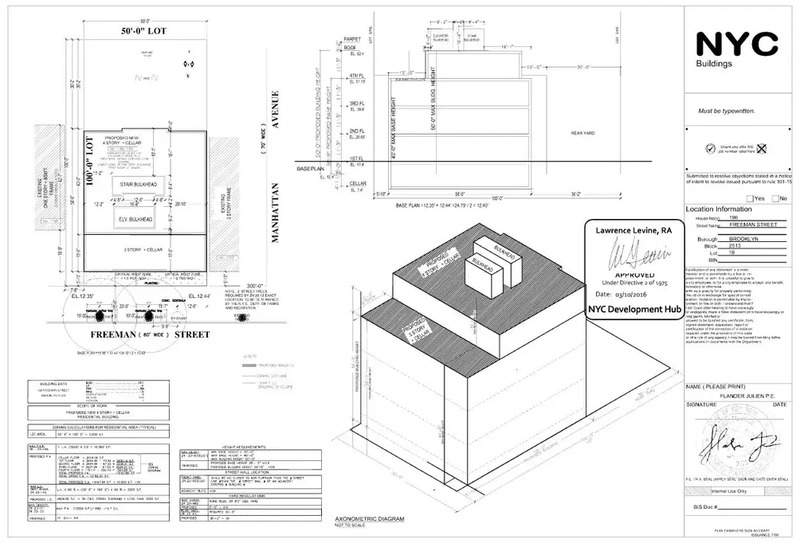 Upon completion, plans show that the new building will have no more than three units per floor. The 10 apartments will measure approximately 900 square feet, and it is not certain whether they will be condos or rentals. Building amenities will include a bike room, laundry room, and lounge. The new building is going up between Manhattan Avenue and McGuinness Boulevard, which makes for easy access to such neighborhood hot spots as Sweetleaf Coffee Roasters, Barley, and Troost. Between the East River waterfront and ferry three blocks away, the Greenpoint Avenue subway station within walking distance, and the nearby Brooklyn on-ramp to the Pulaski Bridge, local commuters have several options. Curbed recently mapped “an explosion of development” taking place all over Greenpoint, a phenomenon that can be observed from this block alone. Directly next door to the construction site, the spacious, high-tech condominium at 198 Freeman Street quickly sold out. 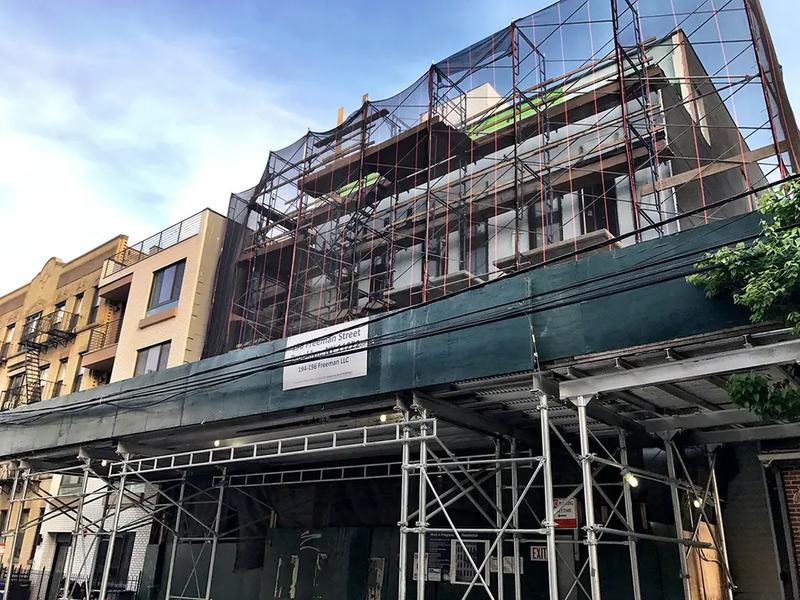 Messrs. Hirsch and Flander have also teamed up across the street at 197 Freeman Street, a four-story, 20-unit rental currently in construction on the former site of a single-story warehouse. 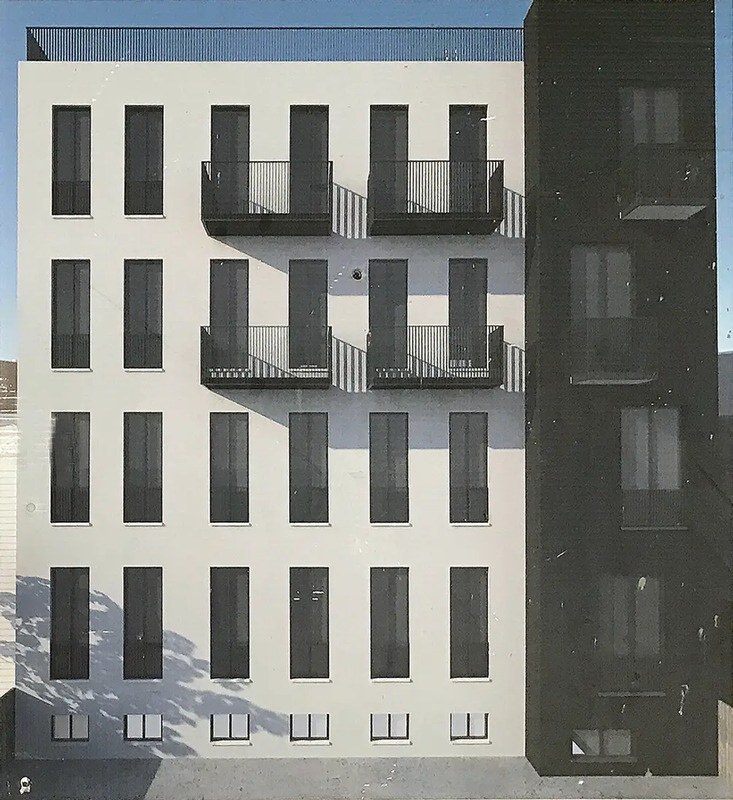 A four-story condominium with an edgy design and four spacious units is on the rise at 205 Freeman Street. At the end of the street, leasing just launched at Freeman Corner, a six-story, 25-unit rental where two-bedrooms start at $3,825/month.